When it comes to piracy, Mexico is high on the list of illicit global content consumers. The country has been criticized in numerous USTR reports, with enforcement progress rated low. Reports suggest that piracy is still a big deal in Mexico. 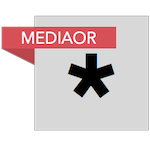 Data cited in local media sourced from the American Chamber of Commerce (AmCham) indicates that eight out of ten Mexicans who consume pirate content believe that it’s not a serious offense. AmCham sees things differently, however, citing huge losses to local entertainment industries. 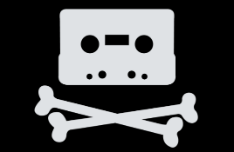 If the headline figures are to be believed, music piracy is a particular problem. A staggering 97% say they’ve obtained music illegally, with 50% claiming to have used stream-ripping tools and services to acquire music from YouTube. Globally, Mexico is in the top five piracy-consuming nations, says Alfredo Tourné, general director of the Association for the Protection of Phonographic Rights (APDIF). With this apparent doomsday scenario playing out, it’s interesting to note that not everyone sees the situation as negative. A report from Billboard yesterday suggests that Spotify is extremely happy with customers in Mexico, labeling Mexico City as the “streaming music capital” of the world. The 22 million population city has more Spotify listeners than New York, London, or any other city. After launching in Mexico during 2013, Spotify says that the Latin American country now has “the biggest listener base in the world.” This suggests that the situation is pretty healthy nationwide, not just in the capital, even in the face of high piracy rates. But despite the success in music, other rightsholders are still disappointed with piracy of their products. According to Ana Maria Magaña, director of Motion Picture Association, 77% of Mexican Internet users have watched movies illegally online, with 64% declaring themselves proud of their illicit consumption. Indeed, Mexico was recently named as a prime source of illegally recorded movies. “Mexico is now reportedly the second largest foreign source of unauthorized camcords in the world, fueling unlawful availability of first-run movies online, which damages the market for new releases,” the International Trade Administration of the U.S. Department of Commerce reported in October. Back in August, the US Government reached a new NAFTA trade agreement with Mexico. The arrangement is supposed to provide strong and effective copyright protection and enforcement, including criminal sanctions against movie cammers.